According to Reuters, party leadership in the British parliament is digging in over a debate on Brexit. 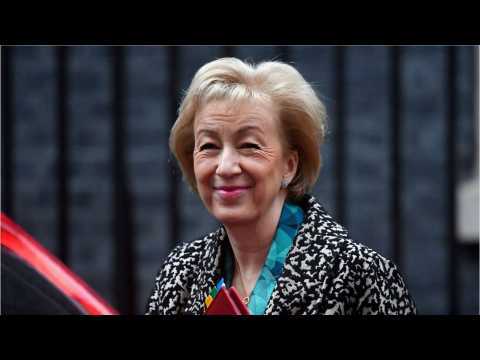 Andrea Leadsom, leader of the House of Commons, said that a final vote in the Parliament may be delayed. But the governing Conservative Party’s leader added that British Prime Minister Theresa May’s government will decide when to vote on the withdrawal agreement from the EU. British government ministers meet for a crucial cabinet meeting to decide the fate of a draft Brexit deal struck by negotiators in Brussels. Liam Tamne, has revealed that he didn't need any convincing to take part in 'Eurovision: You Decide' alongside SuRie, RAYA, Goldstone, Asanda and fellow former 'The Voice' contestent Jaz Ellington. On Monday, the US Supreme Court declined to decide whether the Constitution provides the right to carry a handgun in public, bypassing a major issue about firearm owners' rights simmering across the nation. The court announced it would not look into a California law requiring an individual to show "good cause" in order to get a permit to carry a concealed weapon. As a practical matter, the law makes it difficult for most individuals to obtain a permit in the state's urban areas. In June of 2016, the 9th Circuit Court of Appeals ruled that the "Second Amendment does not protect in any degree the right to carry concealed firearms in public." The ruling caused outrage among advocates of gun rights but was celebrated by gun control groups. California currently bans openly carrying firearms in public, a challenge to that law is currently pending in a separate case.